The International Monetary Fund said Thursday that it welcomed the decision by Nigeria's central bank to abandon its currency peg and adopt a flexible exchange rate policy, saying this was important to reduce fiscal and external imbalances. IMF spokesman Gerry Rice told a weekly news briefing that the fund wanted to see how effectively the naira exchange market functions once the new float system is put into effect on Monday. 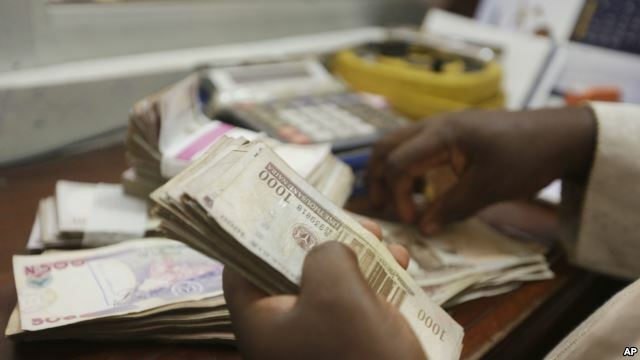 Nigeria's central bank governor said in a letter to President Muhammadu Buhari that the bank expects the naira to settle at around 250 to the dollar after it abandons the peg of 197 to the dollar it has supported for 16 months. "I think the announcement yesterday to revise the guidelines for the operation of the Nigerian interbank foreign exchange market is an important and welcome step," Rice told reporters. "It will provide greater flexibility in that market, the foreign exchange market." Senior IMF officials, including Managing Director Christine Lagarde, have urged Nigerian officials to allow the naira to fall to absorb some of the shock to the economy from a plunge in oil prices and revenues. OPEC member Nigeria is a major oil producer. IMF officials have said that Nigeria has not requested IMF financial assistance, but has been in consultation with the fund on dealing with budget shortfalls. "As we have said before, a significant macroeconomic adjustment that Nigeria urgently needs to eliminate existing imbalances and support the competitiveness of the economy is best achieved through a credible package of policies involving fiscal discipline, monetary tightening, a flexible exchange rate regime and structural reform," Rice said. "Allowing the exchange rate to better reflect market forces is an integral part of that." Because I wanted to obtain my IP the simply way with curl, with no widgets. Because you can communicate with Scam.cz when something goes wrong with an email to declare a scam, a phishing, a threat or a virus. A computing legend has died. 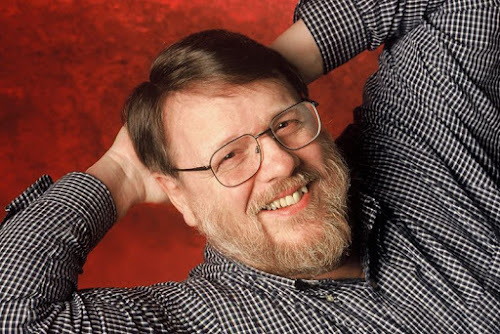 The inventor of email, Ray Tomlinson, suffered an apparent heart attack on Saturday, according to reports. He was 74 years old. Tomlinson sent the very first email back in 1971; at the time, he was working in Boston at Bolt, Beranek, and Newman (BBN), a company that was instrumental in the development of a very early version of the internet, called ARPANET. As an employee, he was "looking" for problems [ARPANET] could solve. "IT'S THE ONLY PREPOSITION ON THE KEYBOARD"
Others had thought about sending messages to other users before, and there were some early versions that let you share notes to users on the same computer, but Tomlinson came up with the SNDMSG command. Unlike what came before it, SNDMSG actually sent mail files to the recipient's computers. It was the first networked messaging program. He also decided to use the @ symbol to designate a user from its host. The decision lifted the humble symbol from obscurity to international icon — it even entered MOMA's collection in 2010. The fact it was little-used at the time made it appealing to Tomlinson, as it reduced ambiguity. Also, as he liked to say, "It's the only preposition on the keyboard." Unfortunately for us, the very first email has been lost to time. As he said in an NPR interview from 2009, they were just random strings of text. "The first e-mail is completely forgettable ... and, therefore, forgotten." Thanks to his invention, Tomlinson won't be. OCN (オーシーエヌ), or Open Computer Network, is the largest Japanese Internet service provider, with over 7 million subscribers. 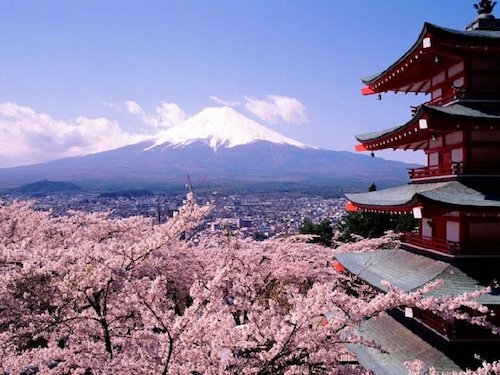 It is owned by NTT Communications Corp, one of the largest telecommunication companies in the world. 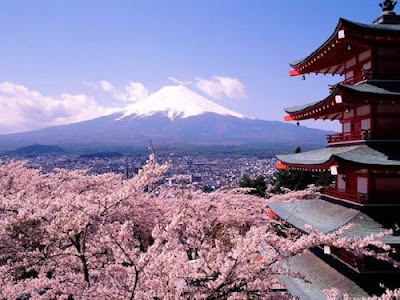 It offers dial-up and ISDN, DSL up to 50 Mbit/s and fiber up to 200 Mbit/s(download)100Mbit/s (upload) for ¥3,600-¥5,600 (US$$35 ~ $55) per month, with connections to large apartment buildings being less expensive than those to individual houses and small apartments. 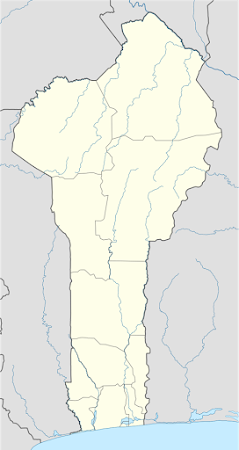 Cotonou (French pronunciation: ​[kɔtɔˈnu]), formerly Kutonu, is the largest city and economic centre of Benin. Its official population count was 761,137 inhabitants in 2006; however, some estimates indicate its population to be as high as 1.2 million; the population in 1960 was only 70,000. The urban area continues to expand, notably towards the west. 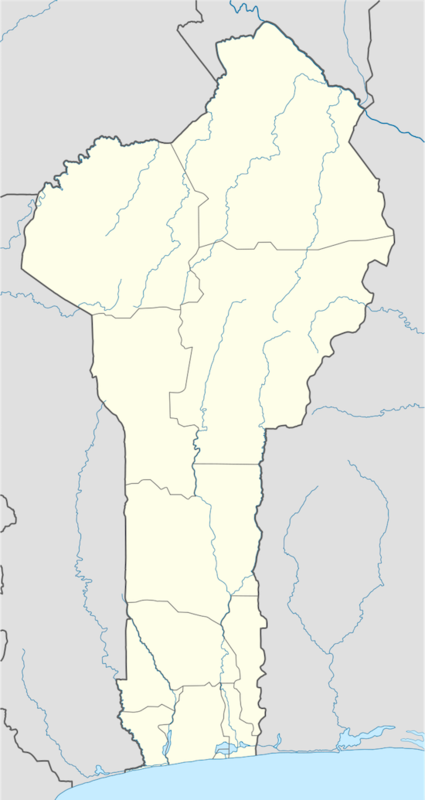 The city lies in the southeast of the country, between the Atlantic Ocean and Lake Nokoué. 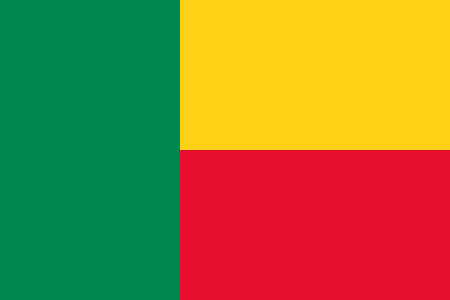 In addition to being Benin's largest city, it is also the seat of government (even though Porto-Novo is the official capital); it is home to most of the country's government buildings and diplomatic services. 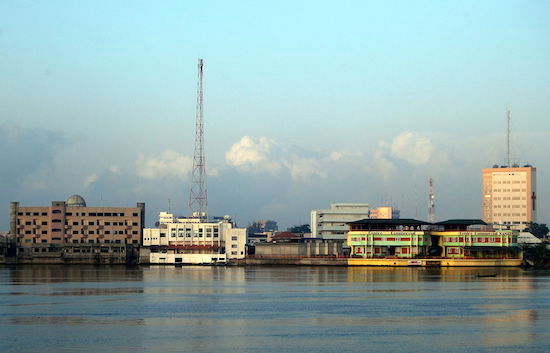 The city is a major port, and is also home to an airport and a railway that links to Parakou. Other features of Cotonou include Cotonou Friendship Stadium, Cotonou Cathedral, Cotonou Central Mosque, the Ancien Pont Bridge and the 20-hectare Dantokpa Market, which has a commercial turnover of over one billion CFA Francs a day. Another familiar feature of the city is the motorcycle-taxis known as Zémidjans. Cotonou is located on the coastal strip between Lake Nokoué and the Atlantic Ocean. The city is cut in two by a canal, the lagoon of Cotonou, dug by the French in 1855. Three bridges are located in this area. The Oueme River flows into the Atlantic Ocean at Cotonou. 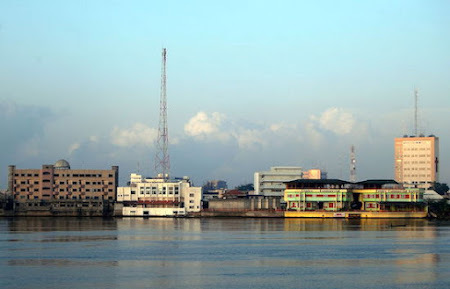 The city has established transportation infrastructure including air, sea, river, (to Porto Novo) and land routes that facilitate trade with its neighbors Nigeria, Niger, Burkina Faso, and Togo. The erosion of the coast has noted for several decades. It worsened in 1961 following the major work undertaken in Benin with the construction of the Nangbéto dam and deep-water port of Cotonou, in Ghana with the Akosombo Dam and in Togo at the port of Lomé. 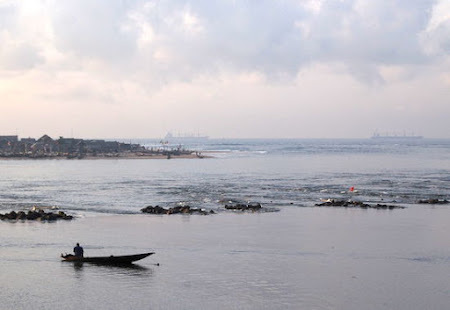 Houssou Paul, a pilot project funded by the United Nations Environment Program (UNEP) revealed that in 40 years, the coast to the east of Cotonou fell by 400 meters. This erosion has led many people to leave their homes built along the coast. The Beninese state has decided to prohibit the pumping of sea and sand for the construction of protective dikes. We wish to inform you that the diplomatic agent conveying the consignment box valued the sum of six hundred and fifty thousand United State dollar ($650,000) has misplaced your address and he is currently at (John F. Kennedy International Airport) NY USA now. We required you reconfirm the following information's below so that he can deliver your consignment box to you today or tomorrow as information provided with open communications via email and telephone for security reasons. Please do contact the diplomatic agent with the email below with the information's required. Contact Person: MR .Christ M.
Go ahead and see that you contact the diplomatic agent immediately because he is waiting to hear from you today with the information's. NOTE:. The Diplomatic agent does not know that the content of the consignment box is six hundred and fifty thousand United State dollar ($650,000) and on no circumstances should you let him know the content The consignment was moved from here as family treasures, so never allow him to open the box . It is my pleasure to seek for your assistance, this proposal is real and I want you to consider it very important and I am assuring you that it is not a dubious mail. I am Robert Ekaireb, whom has been sentenced to life imprisonment without parole for the alleged murder of my wife. Please kindly go through the link below and see some more information. I am filing suit to get myself released but for now am still in prison for a crime i did not commit. I want you to remain honest to me till the end of this important business trusting in you and believing in God that you will not disappoint me at the end. I am from United Kingdom an Industrialist / businessman who have been sentenced wrongly to life imprisonment, since August 2006. Until now no other person(s) knows about this account or could give any documentary evidence concerning this account except me. Meanwhile the total amount involved is sixty five million pounds (?65m only.) and has been kept in Euro clear for safe keeping nobody has information to this apart from me. I am only contacting you as a foreigner because this money cannot be approved to a local account here in the UK, without valid international foreign "Agreement", but could only be approved to any foreigner with valid international documents. I would like both of us to build confidence and trust to sign an agreement that will build us together before transferring the money to any account of your choice where the fund will be kept safe for safe keeping. At the conclusion of this business, you will be given 50% of the total amount, 50% will be for me. This business is 100% risk free, be rest assured that this deal is legal If you need any further information let me know. Michael J. Fisher is the Chief of the U.S. Border Patrol and a member of the Senior Executive Service. He is responsible for planning, organizing, coordinating, and directing enforcement efforts designed to secure our Nation's borders. Chief Fisher entered on duty with the U.S. Border Patrol in June 1987 as a member of Class 208. His first duty assignment as a Border Patrol agent was at the Douglas Station in the Tucson Sector. He successfully completed the selection process for the Border Patrol Tactical Unit (BORTAC) in 1990 and was later selected as a Field Operations Supervisor for BORTAC in El Paso, Texas. Over a four-year period, he planned and executed operations throughout the United States and nine foreign countries. Chief Fisher later served as the Deputy Chief Patrol Agent of the Detroit Sector and as an Assistant Chief Patrol Agent in the Tucson Sector. During the transition to the Department of Homeland Security in March 2003, Chief Fisher was appointed Deputy Director for the U.S. Customs and Border Protection (CBP) Office of Anti- Terrorism in Washington, DC, where he staffed and directed the office during periods of increased threats and served as the CBP liaison to the inter-agency intelligence community for anti-terrorist planning and operational coordination. Chief Fisher later served at Border Patrol Headquarters as an Associate Chief and in 2004 was promoted to Senior Associate Chief. He returned to the field in February 2006 as the Deputy Chief Patrol Agent of San Diego Sector. He was promoted to Chief Patrol Agent of San Diego Sector in June 2007. He was named Acting Chief of the Border Patrol on January 3, 2010, and assumed his current position on May 9, 2010. Chief Fisher earned a bachelor's degree in criminal justice and a master's degree in business administration. He is a graduate of the Senior Executive Fellows Program at the John F. Kennedy School of Government at Harvard University. He also completed the CAPSTONE program at the National Defense University in 2009. James F. Entwistle was sworn in as the Ambassador to the Federal Republic of Nigeria on October 28, 2013. From 2010-13 he served as U.S. Ambassador to the Democratic Republic of the Congo. As a career member of the Senior Foreign Service (Minister Counselor) he served as the Deputy Chief of Mission at the U.S. Embassy in Bangkok, Thailand from July 2007 until June 2010. 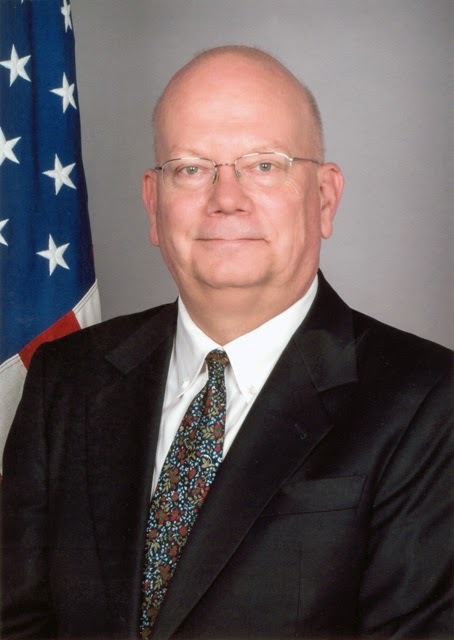 From 2003-06, Mr. Entwistle served as Deputy Chief of Mission at the U.S. Embassy in Colombo, Sri Lanka with simultaneous accreditation to Maldives. President Assad’s troops were (08/25/12) accused of a massacre on a new scale to anything seen before in the conflict in Syria. More than 300 bodies, including those of women and children, were found in houses and basement shelters. Many were the victim of execution-style killings, claim opposition activists. Forces loyal to the tyrannical leader had been fighting fierce battles with rebels in the town of Darayya, close to the capital Damascus. Several videos put on the internet showed rows of bloodied bodies wrapped in sheets. Most of the dead appeared to be young men of fighting age but at least one video showed several children, who appeared to have been shot in the head. The body of one toddler was soaked in blood. ‘A massacre,’ said the voice of the man who appeared to be taking the footage. ‘You are seeing the revenge of Assad’s forces...more than 150 bodies on the floor of this mosque.’ (08/25/12) Foreign Office minister Alistair Burt said: ‘I am deeply concerned by emerging reports of a brutal massacre of civilians in Darayya. ‘If confirmed, it would be an atrocity on a new scale, requiring unequivocal condemnation from the entire international community. ‘It would make (08/25/12) the bloodiest day since the unrest in Syria began in March 2011, with over 400 killed across the country.’ The Local Coordination Committees said some of those killed by regime forces in Daraya were However, it was impossible to independently verify the accounts because of restrictions on non-state media in Syria. Mr Burt said the development highlighted the urgent need for international action to end the violence. Russia and China have blocked UN Security Council resolutions which would increase pressure on the regime. (08/25/12) Turkey began temporarily holding thousands of refugees on the Syrian side of the border. At least 2,000 people fleeing the violence were not allowed to enter Turkey as it struggles to cope with the influx. An official said: ‘We have run out of space to house these people. ‘We are working to make shelters and when these are completed, we will allow these people across.’ The number of Syrian refugees in Turkey has nearly doubled over the past two months to more than 80,000. In total, more than 200,000 Syrians have poured into neighbouring countries since the start of the conflict, with Turkey bearing the brunt of the exodus. Mikhail Borisovich Khodorkovsky (Russian: Михаи́л Бори́сович Ходорко́вский. Born 26 June 1963) is a Russian businessman and former oligarch, as well as philanthropist, public figure and author. In 2003 Khodorkovsky and Roman Abramovich were jointly named as Person of the Year by Expert. In 2004, Khodorkovsky was the wealthiest man in Russia (with a fortune of over $15 billion) and one of the richest people in the world, ranked 16th on Forbes list of billionaires. He had worked his way up the Communist apparatus during the Soviet years, and began several businesses during the era of glasnost and perestroika. After the dissolution of the Soviet Union, he accumulated wealth through the development of Siberian oil fields as the head of Yukos, one of the largest Russian companies to emerge from the privatization of state assets during the 1990s. He was arrested on 25 October 2003, to appear before investigators as a witness, but within hours of being taken into custody he was charged with fraud. The government under Vladimir Putin then froze shares of Yukos shortly thereafter on tax charges. The state took further actions against Yukos, leading to a collapse of the company's share price and the evaporation of much of Khodorkovsky's wealth. He was found guilty and sentenced to nine years in prison in May 2005. While still serving his sentence, Khodorkovsky and his business partner Platon Lebedev were further charged and found guilty of embezzlement and money laundering in December 2010, extending his prison sentence to 2014. After Hans-Dietrich Genscher's impassioned lobbying for his release, President Vladimir Putin pardoned him, releasing him from jail on 20 December 2013. There is widespread concern internationally that the trials and sentencing were politically motivated. The trial process has received criticism from abroad for its lack of due process. Khodorkovsky lodged several applications to the European Court of Human Rights, seeking redress for alleged violations by Russia of his human rights. In response to his first application, which concerned events from 2003 to 2005, the court found that several violations were committed by the Russian authorities in their treatment of Khodorkovsky. In particular, the court ruled that Khodorkovsky's arrest was "unlawful as it had been made with a purpose different from the one expressed". Despite these findings, the court ultimately ruled that the trial was not politically motivated, but rather "that the charges against him were grounded in 'reasonable suspicion'". He was considered to be a prisoner of conscience by Amnesty International. On his release, his remaining fortune was believed to be at least $170 million (2014). L'Assurance Maladie met en garde les assurés sociaux contre l'envoi de courriels frauduleux les invitant à se connecter au site ameli. Ces courriels frauduleux se présentent comme provenant de l'Assurance Maladie, ils utilisent le logo de l'Assurance Maladie et affichent le lien du site ameli. En réalité, le lien proposé dans ces courriels renvoie sur un site qui ressemble à s'y méprendre au site ameli, mais qui est en fait un site frauduleux dans le but d'obtenir des informations bancaires ou des justificatifs d'identité (carte d'identité, passeport, permis de conduire, carte de séjour...) et de domicile (facture de gaz, d'électricité, de téléphone...). Attention, ceci est une escroquerie en ligne, en aucun cas vous ne devez y répondre ! Soyez vigilants ! Il s'agit en fait d'une technique d'escroquerie en ligne intitulée hameçonnage (ou "phishing"). Elle est utilisée par des escrocs dans le but d'obtenir des informations confidentielles puis de s'en servir. Pour plus d'informations sur ce piratage et savoir comment s'en protéger, vous pouvez consulter le portail de la sécurité informatique, notamment la fiche technique « Filoutage (phishing) ». OJSC "Yukos Oil Company" (Russian: ОАО Нефтяна́я Компа́ния Ю́КОС, IPA: [ˈjukəs]) was a petroleum company in Russia which, until 2003, was controlled by Russian oligarch Mikhail Khodorkovsky and a number of other prominent Russian businessmen. After Yukos was bankrupted, Khodorkovsky was convicted of fraud and sent to prison. Yukos headquarters was located in Moscow. Yukos was one of the biggest and most successful Russian companies in 2000–2003. In 2003, following a tax reassessment, the Russian government presented Yukos with a series of tax claims that amounted to US$27 billion. As Yukos's assets were frozen by the government at the same time, the company was not able to pay these tax demands. On August 1, 2006, a Russian court declared Yukos bankrupt. Most of Yukos's assets were sold at low prices to oil companies owned by the Russian government. The Parliamentary Assembly of the Council of Europe has condemned Russia's campaign against Yukos and its owners as manufactured for political reasons and a violation of human rights. Yukos is cited as an example of political risk in international investing, particularly when investing in countries with state control of the commanding heights of the economy. 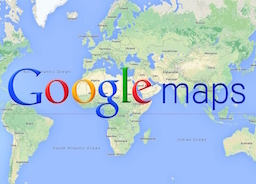 The company was created on April 15, 1993 by Resolution №. 354 of the Russian government and consisted of the following enterprises: a Western Siberian oil extraction enterprise Yuganskneftegaz and oil refineries in Samara Oblast: Novokuybyshevsk NPZ, Kuybyshev NPZ and Syzran NPZ (NPZ stands for NeftePererabatyvayushchy Zavod, literally "petroleum processing plant"). In 1995, decree №. 864 of the Russian government added Samaraneftegaz to Yukos. Its Russian abbreviation ЮКОС comes from the names of the main entities that initially comprised the company: Юганскнефтегаз (Yuganskneftegaz: Nefteyugansk + petroleum + gas) and КуйбышевнефтеОргСинтез (Kuybyshevnefteorgsintez: Kuybyshev + petroleum + organical synthesis). Yukos was one of the world's largest non-state oil companies, producing 20% of Russian oil—about 2% of world production. Its assets were acquired in controversial circumstances from the Russian Government during the privatization process of the early 1990s. The initial period of "oligarchic privatization" was characterized by bloodshed, and Yukos was certainly no exception. Alexei Pichugin, the former Security Chief of Yukos, has been convicted on multiple counts of murder and attempted murder, and is now under investigation along with Yukos partner Nevzlin for the shooting Vladimir Petukhov, mayor of the Yugansk oil province and a vehement opponent of Yukos, on Khodorkovsky's birthday in 1998. Lawyers for Pichugin and Nevzlin, who lives in self-imposed exile in Israel, say that both the charges and the new investigation are politically motivated. In 1996 the majority of Yukos shares (90%) were bought by Group Menatep in a series of auctions. At the time Yukos, as most other Russian energy companies, was badly affected by the economic recession in the 1990s. After privatisation Yukos started recovering very quickly and in the course of several years became one of Russia’s largest oil companies and a leader in corporate governance reform. In April 2003, Yukos agreed to a merger with Sibneft, but the merger was soon undone in the aftermath of the arrest of Yukos CEO Khodorkovsky in October, 2003. In December 2003, a tax re-audit was conducted by the Russian tax authorities, after which Yukos was issued with tax claims that exceeded its revenues for 2002 and 2003. At the same time, Yukos's assets were frozen by the government. In December 2004, its core asset, Yuganskneftegaz, was sold in an auction to an unknown company called Baikalfinansgrup, which was later bought by state oil company Rosneft. Eventually, Yukos was bankrupted in 2006 and liquidated in 2007. In July 2004, Yukos was charged with tax evasion, for an amount of over US$27 billion. The Russian government accused the company of misusing tax havens inside Russia in the 1990s so as to reduce its tax burden; havens were set up by most major oil producers in outlying areas of Russia which had been granted special tax status to assist in their economic development; such "onshore-offshore" were used to evade profit taxes, resulting in Yukos having an effective tax rate of 11%, vs a statutory rate of 30% at the time. Yukos claims its actions were legal at the time and that the company used the same tax optimisation schemes as other Russian oil companies, such as Lukoil, TNK-BP and Sibneft. However, Yukos was the only one to be charged with tax evasion and penalised by the authorities. Yukos subsidiaries also declared the oil they produced to be "oil-containing liquids" to avoid paying full taxes. A general crackdown on such tax evasion practices began with Putin's presidency, with numerous companies closing or purchasing their trading vehicles. It is widely believed that Yukos severe treatment at the hands of the tax authorities was due to its attempt to purchase a large block of Duma deputies so as to block oil tax reform legislation. In a move to prevent bankruptcy, management made a friendly offer to the government to pay US$8 billion in a period of three years. A management presentation from December 2004 shows that the tax claims put the "total tax burden" for 2000, 2001, 2002, and 2003 at 67%, 105%, 111%, and 83% of the company's declared revenue during those years. As a comparison, the annual tax bill of Gazprom is about US$4 billion on 2003 revenues of US$28.867 billion. Yukos parent company, the Menatep group, lobbied extensively and successfully to influence Western public opinion, retaining Margery Kraus of APCO who successfully pushed through resolutions inter alia before the US House of Representatives and the Council of Europe. According to a resolution of the Council of Europe, "Intimidating action by different law-enforcement agencies against Yukos and its business partners and other institutions linked to Mr Khodorkovsky and his associates and the careful preparation of this action in terms of public relations, taken together, give a picture of a co-ordinated attack by the state." This "raises serious issues pertaining to the principle of nullum crimen, nulla poena sine lege laid down in Article 7 of the ECHR and also to the right to the protection of property laid down in Article 1 of the Additional Protocol to the ECHR." "The circumstances of the sale by auction of Yuganskneftegaz to “Baikal Finance Group” and the swift takeover of the latter by state-owned Rosneft raises additional issues related to the protection of property (ECHR, Additional Protocol, Article 1). This concerns both the circumstances of the auction itself, resulting in a price far below the fair market-value, and the way Yukos was forced to sell off its principal asset, by way of trumped-up tax reassessments leading to a total tax burden far exceeding that of Yukos’s competitors, and for 2002 even exceeding Yukos’ total revenue for that year." In the Western media and the Russian opposition media the high-profile arrest of Khodorkovsky is usually attributed to his activism in the Russian political process. On October 31, 2003, shortly after the arrest of the company's CEO, the Russian government froze ownership of 44% of the company's shares. The reason given was to prevent a group of shareholders led by Khodorkovsky from selling a large stake of the company to the US oil firm Exxon. A Yukos shareholders' meeting scheduled for December 20, 2004 was to discuss a "crisis plan." A Russian company must hold such a meeting before it can apply for bankruptcy in Russia. The Russian Government sold Yukos's main production unit, Yuganskneftegas, at auction on December 19, 2004 to recover some of US$28 billion in alleged tax debts, following the loss of an appeal by the firm. 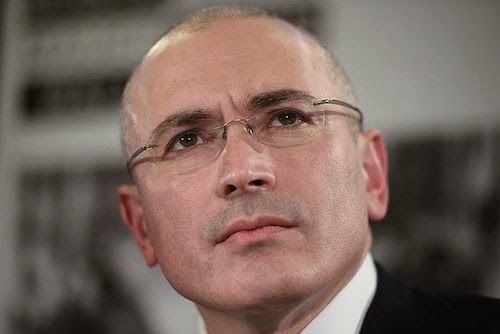 Menatep, the company representing Mikhail Khodorkovsky, promised to challenge the sale's legality in a number of countries, and to sue the buyer and any company helping to fund the deal. The expected buyer was the 38% Russian state owned company OAO Gazprom. Some European and American oil firms decided not to bid. On December 19, 2004, the Baikalfinansgrup, an unknown company registered several days before the auction in Tver at an address where a snack bar was located, won the auction for Yukos's subsidiary Yuganskneftegas with a 260.75 billion rubles ($9.4 billion) bid. Yuganskneftegas was a few months earlier valued at between US$15 billion and US$17 billion by DrKW which the Russian government hired to value the subsidiary. Suggested financiers to the Baikal Finance Group are Gazprom, Sberbank, the Russian central bank, China National Petroleum Corporation, and ONGC (India). The reason for this arrangement may be that Gazprom feared international legal action against it after a Houston, Texas court ruling that barred Gazprom from bidding for the unit. This ruling was subsequently vacated. According to people familiar with the auction only two bidders registered for, and were present during, the auction process: Baikalfinansgrup and Gazprom's former oil unit Gazpromneft. Accounts from the auction say that the first bid of US$8.6 billion came from Baikal. When the auctioneer asked Gazpromneft to offer its price, a representative of the company asked to make a telephone call and left the room. A few minutes earlier, the auctioneer had told participants that using a mobile phone or leaving the room was against the rules. When a Gazpromneft representative returned to the room, Baikal made a bid of US$9.3 billion. Gazpromneft never placed a bid or spoke out. Shortly after the Yuganskneftegaz auction, Rosneft, Russian state-owned oil company, acquired 100% of shares in Baikalfinansgrup. The acquisition of Yuganskneftegaz significantly increased Rosneft's profits and made it one of the largest oil companies in Russia. In the course of these events the value of Yukos shares plunged. On 15 June 2006, based on a bank deposit of US$4 million and its American CEO's Houston home, Yukos filed for bankruptcy protection in the United States, estimating its assets at US$12.3 billion and its debts at US$30.8 billion, including "alleged taxes owed to the Russian government". It accused the Russian authorities of "an unprecedented campaign of illegal, discriminatory, and disproportionate tax claims escalating into raids and confiscations, culminating in intimidation and arrests". After several weeks of deliberation, the Houston court declared that under no conceivable theory could Yukos assert domicile in the US. On 25 July 2006, the creditors of Yukos decided to file for bankruptcy after the bankruptcy manager stated that the company should be liquidated. By mid-December, 2004, all members of the board of Yukos, and most of the company's senior managers, had left Russia, some of them because of "fear of arrest" after being "summoned for questioning by prosecutors". According to a December, 2004, Houston, Texas court filing the CFO resides in Houston. According to a company spokeswoman the CEO resided in London, UK as of December, 2004. Executives Mikhail Brudno and Vladimir Dubov fled to Israel in 2003, and were seen on February 2, 2005 in Washington, D.C. at an official function of George W. Bush. Both men are cited in an international arrest warrant regarding their involvement in the Yukos tax case. On Wednesday 6 April 2006, the company's Executive Vice President, Vasily Aleksanyan, was arrested just six days into his new role. Yukos commented on its web site that, "We can only assume that this action against him is a direct result of his accepting a position to work to protect Yukos Oil Company and its legitimate stakeholders." The next month, it was reported that some individuals established themselves as the "New Management" of Yukos. However, this was apparently an illegal act, as Yukos "emphatically rejected" the legitimacy of the "new management" which had Vinokurov as President. According to Yukos, these individuals were "loyal to Rosneft" and had as goal the downfall of Yukos.Yukos' lawyer Pavel Petrovich Ivlev has been accused of several crimes, after which he moved to the USA. In July 2006, one week before creditors would vote if they should file for bankruptcy, Steven Theede resigned his function because he believed the outcome of this vote was already fixed and therefore this meeting would qualify as a "sham". On 23 April 2004, shortly after the imposition of the tax assessment for the year 2000, the former management of Yukos submitted an application to the European Court of Human Rights. Yukos’ claim in the ECHR argues that the company's rights, protected by the European Convention on Human Rights, were violated in Russian courts, which led to its bankruptcy and liquidation; it also argues that Yukos has been singled out for discriminatory treatment. Yukos complained that their rights were breached under several articles of the Convention, specifically: “Under Article 6 (right to a fair trial) of the Convention, the applicant company complains about various defects in the proceedings concerning its tax liability for the year 2000. Under Article 1 of Protocol No. 1 (protection of property), taken alone and in conjunction with Articles 1 (obligation to respect human rights), 13 (right to an effective remedy), 14 (prohibition of discrimination) and 18 (limitation on use of restrictions on rights) of the Convention, it complains about the lawfulness and proportionality of the 2000–2003 Tax Assessments and their subsequent enforcement, including the forced sale of OAO Yuganskneftegaz. Lastly, the applicant company complains, under Article 7 (no punishment without law) of the Convention, about the lack of proper legal basis, selective and arbitrary prosecution and the imposition of double penalties in the Tax Assessment proceedings for the years 2000–2003.”Following an admissibility assessment that took five years, the court declared the Yukos application admissible on 29 January 2009. This in itself was a significant achievement for Yukos, as the Court declares admissible only less than 5% of all submitted applications. The hearing on merits of the Yukos Oil Company v Russia case in the European Court of Human Rights took place on 4 March 2010. Yukos Oil Company was represented by Piers Gardner, Barrister of Monckton Chambers. The Russian side was represented by a team of lawyers, which included Georgy Matyushkin, Representative of the Russian Federation at the European Court of Human Rights, and British lawyer Michael Swainston. The claim before the ECHR amounted to US$98 billion. This was the largest claim to be brought in the court’s 60-year history. The claim is an estimate of what the value of Yukos would have been if its assets had not been stripped away and the company had not been liquidated in 2007. The decision on this case was announced on 20 September 2011.The court announced that the Russian state violated the human rights of Yukos by agreeing that there had been a violation of Yukos' right to fairness in legal proceedings in relation to a tax re-assessment for 2000. The court also established that there had been a violation of the right to protection of property through enforcement proceedings carried out over tax assessments from 2000–2003. The interpretation of the tax liabilities which were applied to Yukos was foreseeable, but the court still noted that the crux of the case was the rapid and inflexible enforcement of those liabilities. Yukos had been effectively paralysed because all of its assets were frozen from the first assessment. The court held that two factors in particular contributed to Yukos' demise and violated Article 1 of Protocol No. 1: '' 1. The bailiff's choice of Yukos' principal subsidiary as the first target for auction, without considering the implications for the company's future: this dealt Yukos a 'fatal blow';2. The Russian authorities were unyielding and inflexible in response to requests for time to pay and the bailiffs imposed additional fines amounting to €1.15 Bn, which had to be paid before the taxes, but the payment of which was prohibited under the freezing orders. "The court did however note that the tax assessments themselves were not considered disproportionate. It was agreed that there was not enough evidence to suggest that Yukos had been treated differently from other companies and so no violation of Article 14 was found. The court denied an allegation that Russia misused legal procedures to dismantle Yukos despite the court's nine-judge panel finding that Russia violated three articles of the European Convention on Human Rights. Both sides have claimed victory over the ruling. No monetary amount has been awarded after the European Court of Human Rights found the question of damages as "not ready for decision". Both parties have three months to reach a settlement.The ECHR ruling became final on 8 March 2012 when the ECHR Grand Chamber did not accept the request of the Yukos Oil company to have its application to the court referred to the Grand Chamber. Ibrahim Lamorde (born 20 December 1962) is a Nigerian police officer who was appointed Acting Chairman of the Economic and Financial Crimes Commission (EFCC) on 23 November 2011 after chairman Farida Waziri had been dismissed by President Goodluck Jonathan. He was confirmed as Chairman by the Senate on 15 February 2012. Lamorde was born on 20 December 1962 in Mubi, Adamawa State. He attended Ahmadu Bello University, Zaria, graduating with a BA in Sociology in 1984. He joined the Nigerian police in 1986, and from 1987 to 1988 worked at the Niger State Police Command in Minna. From 1988 to 1989 he was Divisional Crime Officer in Rijau, Niger State. He then served as Police Public Relations Officer for the Niger State police from 1989 to 1993. In 1993 Lamorde was appointed an officer of the newly created Special Fraud Unit (SFU) of the Nigeria Police, serving in the unit charged with investigated advance-fee fraud until 2002. One of Lamorde's colleagues at the SFU was Farida Waziri. While in the SFU, from 2000 to 2001 he was seconded to the United Nations Civilian Police in the Ermera District of East Timor as a Chief Investigation Officer. Lamorde was a Divisional Police Officer in Oyo State before being deployed to the police force headquarters in Abuja. When the EFCC was created in 2003, headed by Nuhu Ribadu, Lamorde was made Director of Operations. In December 2007 Ribadu was removed from his post by president Umaru Musa Yar'Adua, ostensibly to attend a training course. Lamorde took over as Acting Chairman in January 2008, holding this position until Farida Waziri was appointed Chairperson in May 2008. He was then posted to Ningi in Bauchi State. In December 2010 Lamorde returned to the EFCC, again as Director of Operations. He replaced Stephen Otitoju, the acting Director of Operations. When Farida Waziri was dismissed on 23 November 2011, Assistant Commissioner of Police (ACP) Lamorde was again appointed Acting Chairman. A number of other senior police officers were said to be competing for the position of EFCC Chairman. Lamorde's association with Waziri dating back to their days with the SFU could be a handicap. 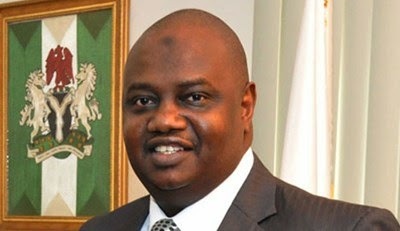 However, Lamorde was confirmed as substantive Chairman of the EFCC on the 15 February 2012. Lamorde is a member of the Nigerian Institute of Management and the Nigerian Institute of Public Relations. You could call him a cat with nine lives. The new anti-graft Czar, Mr. Ibrahim Lamorde, an Assistant Commissioner of Police, has survived the politics of the anti-corruption war over the years. But here he is today as the acting Chairman/Chief Executive of the Economic and Financial Crimes Commission (EFCC), for the second time. His appointment is expected to “rev up” the anti-graft war by the Goodluck Jonathan administration. Lamorde, 48, was the no-nonsense Director of Operations when Malam Nuhu Ribadu held fort as chairman. Then former President Umaru Musa Yar’Adua removed Ribadu in 2008 under the pretext of sending him for a senior officers’ course at the National Institute for Policy and Strategic Studies (NIPSS), Kuru, Plateau State. Lamorde stepped in momentarily. But with Farida Waziri appointed as the substantive chairman, she went on a cleansing mission, purging EFCC of every Ribadu DNA. Lamorde was initially penciled down to be sent to Police Staff College, Jos, Plateau State, for a course. Then he was posted to Ningi, a particularly dangerous area in Bauchi State. Yar’Adua died. Dr. Goodluck Jonathan took over. 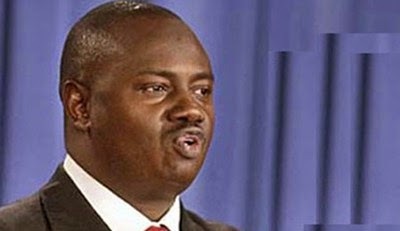 In less than seven months – December 2010 to be precise – Lamorde was back to the EFCC, to his old post of Director of Operations, effectively the deputy chairman of the commission. Lamorde has over 20 years continuous training and experience in policing and management. He joined the Nigeria Police Force in 1986, after graduating with a Bachelor of Science degree in Sociology from the Ahmadu Bello University, Zaria, in 1984. He served at the Niger State Police Command between 1987 and 1988 in Minna. He was Divisional Crime Officer (DCO) in Rijau, Niger State, between 1988 and 1989 and served as Police Public Relations Officer (PPRO) Niger State Command for four years. Lamorde was a pioneer officer of the Special Fraud Unit (SFU) of the Nigeria Police, created in 1993. He served in the premier anti-419 corps of the Nigeria Police until 2002. While still an officer of the SFU, he was deployed as Chief Investigation Officer of Ermera District of East Timor of the United Nations Civilian Police where he served between 2000 and 2001. He was briefly Divisional Police Officer, Ojo, Ibadan, Oyo State and was later deployed in the Force Headquarters, Abuja, from where he was seconded as a pioneer officer and Director of Operations of the EFCC. 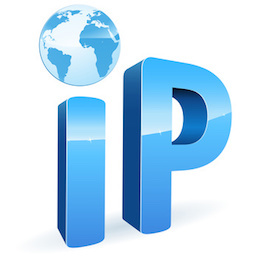 In the global pursuit of criminals, Lamorde has worked effectively with other government law enforcement agencies around the world, including the FBI, Metropolitan Police, US Postal Inspection Services (USPIS), Internet Crime Complaints Centre (IC3), the Dutch Police, German Police and the South African Police, among others. Lamorde, a Member of the Nigerian Institute of Management (NIM) and Nigerian Institute of Public Relations (NIPR), has attended several international training programmes, seminars and workshops where he delivered papers on the Nigerian fight against corruption, Advance Fee Fraud and other forms of economic and financial crimes. He also attended a Strategic Management of Regulatory and Enforcement Agencies course at the Harvard University in 2005. To every discerning observer of the polity, the removal of Mrs Farida Waziri as the boss of the Economic and Financial Crimes Commission, EFCC, last Wednesday did not come as a surprise. The only element of surprise is that it took the Goodluck administration this long before firing her. Right from the time Jonathan mounted the saddle as the country's substantive president after the death of Umaru Yar Adua, close associates and supporters of the president have left no one in doubt they were unimpressed with the way Waziri was running the anti-graft agency. They not only accused Waziri of being selective in her campaign against corruption, they also branded her a weakling who had failed to sustain the momentous fight against corruption left behind by her predecessor, Nuhu Ribadu. These, coupled with Waziri's tango with the Attorney-General of the Federation and Minister of Justice, Adoke Mohammed, over prosecution of cases by the EFCC made Waziri an orphan in the administration and her removal was only a matter of time. Irrespective of the reasons adduced by the government for the removal of Waziri, it is our considered opinion that the administration needs to do more to reposition the agency for effective fight against the hydra-headed monster called corruption in the land. It is our belief that as desirable as the removal of the EFCC boss is, the government needs to address the institutional problems bedevilling the agency. Removing Waziri will not solve the agency's long standing problems. What is required at this stage of the EFCC is to take a wholesome look at the institution and initiate serious reforms to make the fight agaist corruption effective. We need to take another look at the system which gives the president the power to appoint and remove the head of the anti corruption body. The fight against corruption can only be effective if those charged with the fight are independent and immune from executive interference. We say this because corruption is largely perpetrated by government officials and it will be difficult to bring these officials to book if operatives of the EFCC can be removed by those in government. We suggest that the agency become independent and its head selected by the judiciary from untainted judges or police officers, serving or retired . The appointment of the EFCC chairman should not be subjected to the whims and caprices of the president. We hope that Waziri's removal was not another gimmick to fool the international community of investors that the present administration was serious in fighting corruption when the facts on the ground do not justify this. It is our plea that the just appointed acting chairman of the EFCC, Ibrahim Lamorde should be given a chance to succeed. Knowing his pedigree as a former director of operations of the highly acclaimed former EFCC boss, Nuhu Ribadu, he is expected to give the anti graft body the necessary verve to a successful war against corruption. Backscatter (also known as outscatter, misdirected bounces, blowback or collateral spam) is incorrect automated bounce messages sent by mail servers, typically as a side effect of incoming spam. Recipients of such messages see them as a form of unsolicited bulk email or spam since they were not solicited by the recipients, are substantially similar to each other and are delivered in bulk quantities. Systems that generate email backscatter can end up being listed on various DNSBLs and be in violation of internet service providers' Terms of Service. Backscatter occurs because worms and spam messages often forge their sender address, and mailservers configured by naive administrators send a bounce message to this address. Measures to reduce the problem include avoiding the need for bounce message by doing most rejections at the initial SMTP connection stage; and sending bounce messages only to addresses which can be reliably judged to have not been forged. Authors of spam and viruses wish to make their messages appear to originate from a legitimate source to fool recipients into opening the message so they often use web-crawling software to scan usenet postings, message boards, and web pages for legitimate email addresses. Due to the design of SMTP mail, recipient mail servers receiving these forged messages have no simple standard way to determine the authenticity of the sender. If they accept the email during the connection phases then, after further checking refuse it - for example because they believe it to be spam they will use the (potentially forged) sender's address to attempt a good-faith effort to report the problem to the apparent sender. Reject. A receiving server can reject the incoming email during the connection stage while the sending server is still connected. If a message is rejected at connect time with a 5xx error code then the sending server can report the problem to the real sender cleanly. Drop. A receiving server can initially accept the full message, but then determine that it is spam, and quarantine it - delivering to "Junk" or "Spam" folders from where it will eventually be deleted automatically. This is common behaviour, even though RFC 5321 says: "...silent dropping of messages should be considered only in those cases where there is very high confidence that the messages are seriously fraudulent or otherwise inappropriate..."
Bounce. A receiving server can initially accept the full message, but then determine that it is spam or to a non-existent recipient, and generate a bounce message back to the supposed sender indicating that message delivery failed. Backscatter occurs when the "bounce" method is used, and the sender information on the incoming email was that of an unrelated third party. Every step to control worms and spam messages helps reduce backscatter, but other common approaches such as those in this section also reduce the same problem. During the initial SMTP connection mailservers can do a range of checks, and often reject email with a 5xx error code while the sending server is still connected. Rejecting a message at the connection-stage in this way will usually cause the sending MTA to generate a local bounce message or Non-Delivery Notification (NDN) to a local, authenticated user. - Senders on block lists. Mail transfer agents (MTAs) which forward mail can avoid generating backscatter by using a transparent SMTP proxy. Mail servers sending email bounce messages can use a range of measures to judge whether a return address has been forged. While preventing backscatter is desirable, it is also possible to reduce its impact by filtering for it, and many spam filtering systems now include the option to attempt to detect and reject backscatter emails as spam. In addition, systems using schemes such as Bounce Address Tag Validation "tag" their outgoing email in a way that allows them to reliably detect incoming bogus bounce messages. Le réseau des Urssaf met en garde les cotisants contre l'envoi de courriels frauduleux les invitant à se connecter au site urssaf.fr. Ces courriels frauduleux se présentent comme provenant de l’Urssaf, ils utilisent le logo de l’Urssaf et invitent à cliquer sur un lien. En réalité, le lien proposé dans ces courriels renvoie sur un site qui ressemble à s'y méprendre au site urssaf.fr, mais qui est en fait un site frauduleux dans le but d'obtenir des informations bancaires ou des justificatifs d'identité (carte d'identité, passeport, permis de conduire, carte de séjour...) et de domicile (facture de gaz, d'électricité, de téléphone...). Pour être sûr que vous consultez le site de l’Urssaf et non un site pirate, il suffit de saisir manuellement l’adresse http://www.urssaf.fr dans votre navigateur. A partir de la page d’accueil, vous pouvez naviguer en toute confiance à l’intérieur de ce site, et accéder à la page souhaitée. Nigerian Facebook Scammer Arrested In Thai..